A new social app discovery tool just reached the App Store letting you bookmark and download iOS apps from any website. All with friends. BARCELONA - Forget about the hassle of downloading iOS app from websites. Picker links your computer and your iPhone by using a Pocket-like browser bookmarklet and a free iPhone app to let you save, download and share any iOS app you stumble upon. Improve your app discovery experience while you build a new app hunter profile. 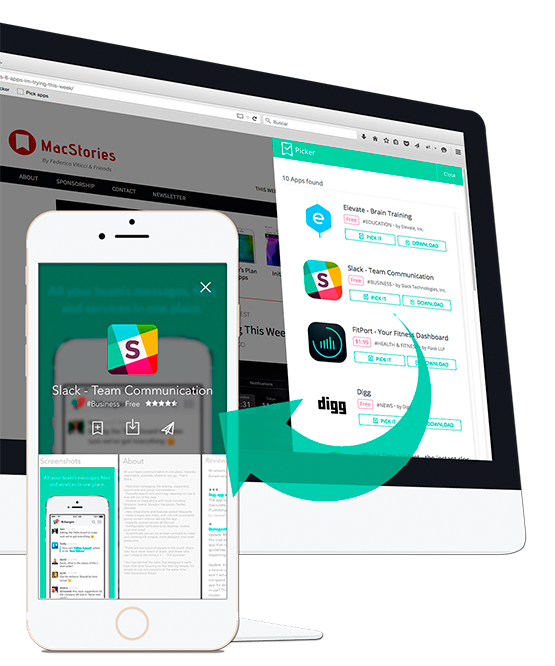 Start bookmarking apps from any website or blog. 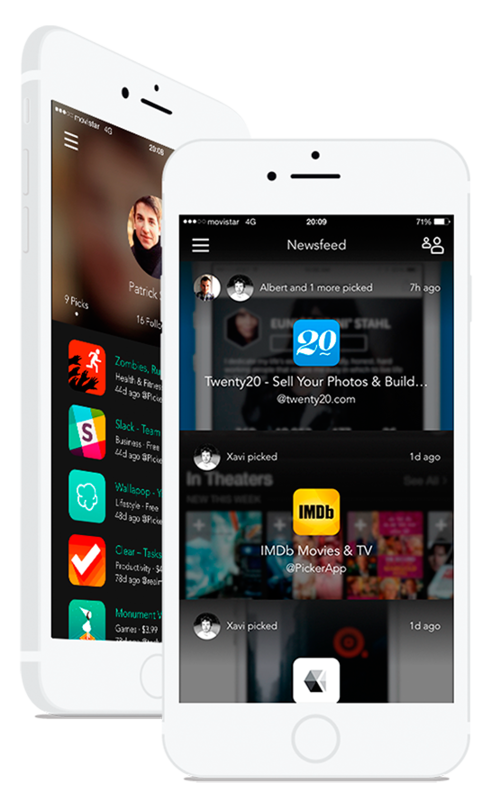 Get them listed on your personal app list and share them with your followers. 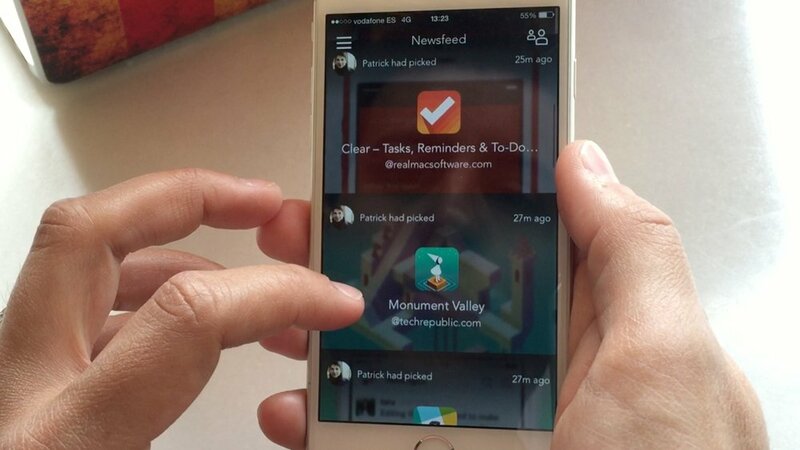 Collect & save great app discoveries to your profile list. Install now the Picker bookmarklet on your browser and start collecting apps from any website. Stay tuned with the latest app findings picked by your friends & other app hunters like you. 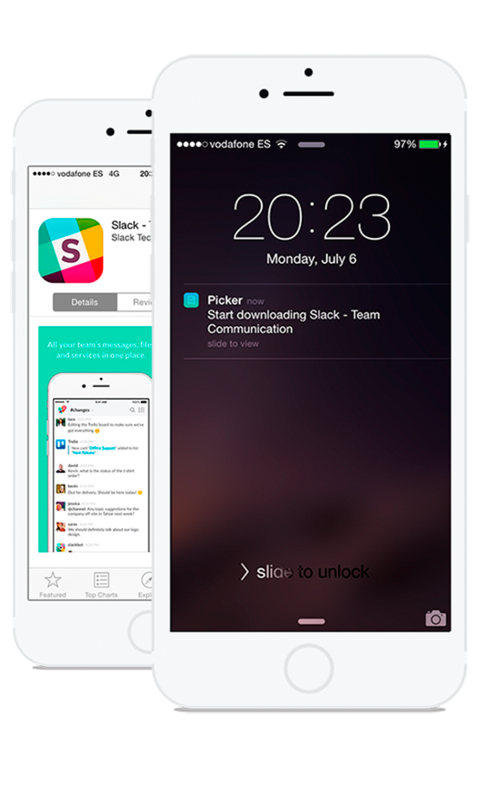 Get all apps in a rich newsfeed.